Sphero BB-8 was introduced on Force Friday in 2015 and the app-enabled droid quickly became a must-have for the holiday season. So much so, I ordered mine from the Disney Store on day-one as it quickly sold out. 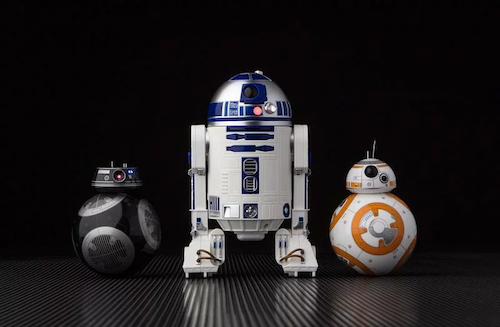 Now, Sphero is adding BB-9E from The Last Jedi and, best of all, R2-D2 for Force Friday II. Like BB-8, the latest droids will be able to watch Star Wars movies and television series (via a future update) with fans. R2-D2 includes an integrated speaker. So, the diminutive droid can vocally respond to actions, himself. R2-D2 will retail for £179.99 and is available from Amazon. The extended app-enabled droid line can interact with each other for added play value. How will BB-8 react to his evil twin, BB-9E, when they come face-to-face on my desktop? Chris Pirillo, fellow gadget geek and Star Wars fan, has launched a new YouTube channel. Star Wars Radar. It's filled with awesome unboxings from Disney, Sphero, Hasbro and more. 6-year-old me wanted to own an R2-D2 like this in 1978. Almost 40 years later I can. Will you be attending a midnight store opening? Let me know in the comments below. 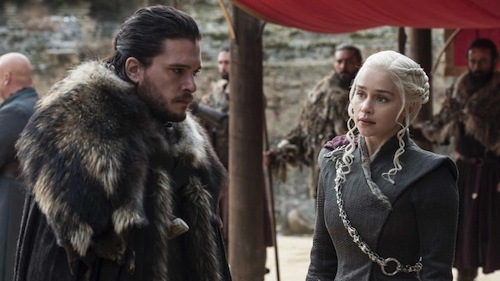 Game of Thrones' seventh season concluded this week with a fantastical flourish and the final season may not be broadcast until early 2019. HBO is known for incubating rich dramas and allowing showrunners creative freedom. A case in point is stablemate, and heir apparent, Westworld, which does not return to television screens for a second season until 2018. I'm avoiding spoilers for folks who haven't seen seven season. 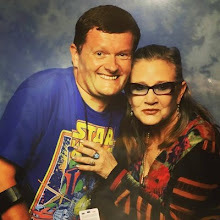 However, suffice it to say the shortened season has moved at a breathless pace, too fast for some, but not for a fan brought up on the original Star Wars trilogy and MTV. Unlike The Walking Dead. Game of Thrones' audience has increased to record-breaking numbers. 31 million viewers per episode to be precise. It's understandable HBO is in no mood to rush the final season. 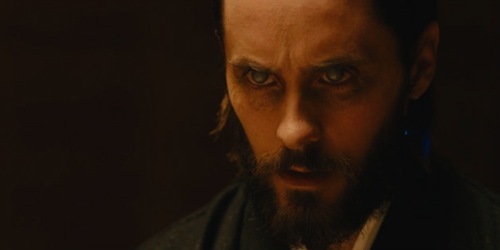 Blade Runner 2049, a sequel to director Ridley Scott's iconic Blade Runner starring Harrison Ford, is released in theatres this October with Ford reprising the role of Rick Deckard alongside Ryan Gosling as LAPD Officer K.
Collider has posted an exclusive prequel short film starring Jared Leto (Requiem for a Dream) playing Niander Wallace. 2036: Nexus Dawn is one of three short films that will fill in the timeline between the original Blade Runner and Blade Runner 2049. Blade Runner 2049 is in theatres 6th October. Star Wars fans will be able to celebrate Force Friday II at Apple Stores this Friday. Apple will be hosting special events from 1st September thru 9th September in the United States, Australia, Canada, Mexico, Taiwan, UK, France, Belgium, Germany, Netherlands, the United Arab Emirates, Spain, Hong Kong, Italy, Switzerland, and Sweden. 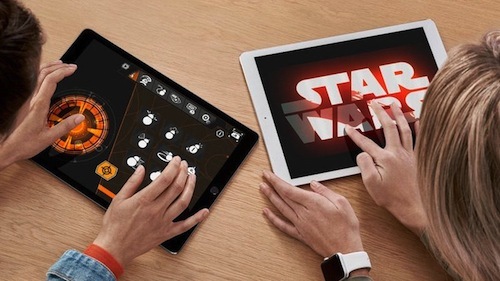 Fans will be able to edit their own Star Wars trailers with an iPad and iMovie. Editing on an iPad Pro is something I have firsthand experience with and suggest fellow owners to invest in an Apple Pencil (if they haven't already done so) as it speeds up the workflow. "Explore how to create a Star Wars trailer with authentic footage from the films. You’ll discover signature Star Wars trailer-making techniques in an exclusive video from The Last Jedi director, Rian Johnson. Then you’ll create your own trailer complete with titles, transitions, sound effects, and official Star Wars music using iPad and iMovie." Other Star Wars-related sessions will be offered, including a special effects masterclass from Industrial Light and Magic (ILM) at the Union Square store in San Francisco. "Join ILM’s Hal Hickel, Landis Fields, and Colie Wertz and explore how they use animation and 3D modeling to bring the Star Wars galaxy to life. They’ll share their creative process, and give you a behind-the-scenes look at their journey from stop motion to CG. 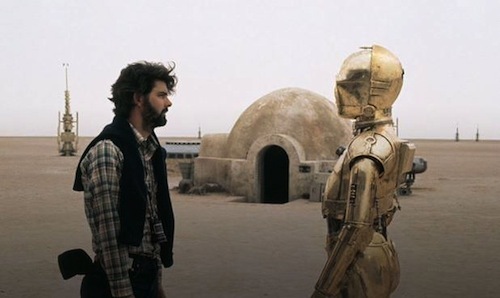 Then you’ll create your own Star Wars droids using the same techniques used at ILM—all with iPad Pro and Apple Pencil." Apple Stores may carry new Star Wars toys from The Last Jedi, as part of the Find the Force campaign, too. Will you be dropping by your local Apple Store? Let me know in the comments below. US retailer Target invites Star Wars fans to "Bring Your Rey Game" on Force Friday II. 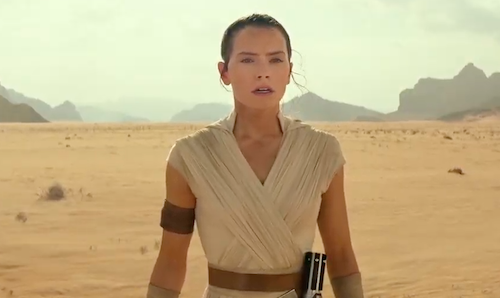 This is a clever tagline based on the sequel trilogy's main character Rey (Daisy Ridley). Think of Force Friday as the holiday season for Star Wars fans. This year promises to be the biggest yet with fans encouraged to Find the Force in celebration of The Last Jedi. Toys have started appearing in stores ahead of Force Friday II. Most recently a 6-pack action figure set from Hasbro's The Last Jedi collection was seen for sale at UK retailer Tesco. Toys "R" Us will have midnight openings at selected stores. So, check with your local retailer for event information and exciting weekend offers from 1st September. Force Friday II is a week today. A bi-annual merchandising event celebrating all-things Star Wars that began with The Force Awakens. 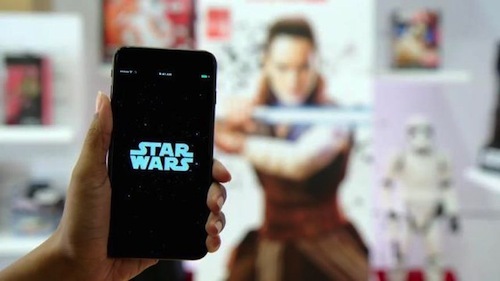 This year, to promote The Last Jedi in theatres, Disney is releasing an augmented reality (AR) app for mobile devices. From 1st September thru 3rd September, fans will be able to capture their favourite characters at participating retailers in-store and online, and upload them using hashtag #FindtheForce to enter a sweepstake to attend the premiere of The Last Jedi. Lucasfilm uploaded a cryptic message from General Leia. For more information, visit Find the Force. 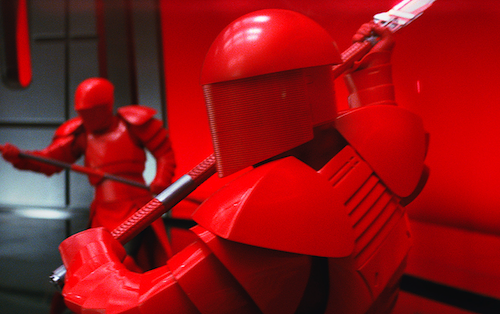 How are you celebrating Force Friday II? Let me know in the comments below. EA has released a new trailer for Star Wars Battlefront II. 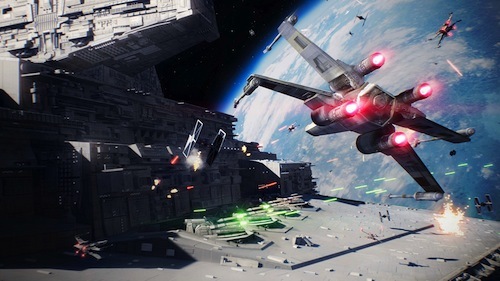 Starfighter Assault mode features cameos from Darth Vader, Darth Maul, Master Yoda and more. It's filled with Easter Eggs including Kylo Ren's TIE Silencer from The Last Jedi. The space battles evoke the original trilogy and Rogue One. This is a good, very good, thing. Star Wars Battlefront II is available for pre-order on PS4, Xbox One and PC. The game is released on 14th November. Stay tuned for further coverage. 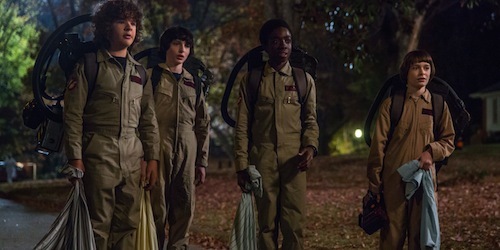 Stranger Things is my most anticipated returning series this fall. And there's talk of two more seasons of Netflix's love letter to 1980s Americana. 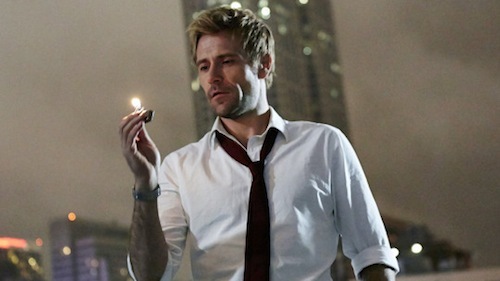 Creators Matt and Ross Duffer recently spoke to New York Magazine. A four season story arc is compelling and should avoid the pitfall of diminishing returns in the wake of accusations of "Netflix bloat". This is where a season is stretched too thinly. When the "Thriller" trailer dropped during SDCC, I likened it to the Duffer brothers downloading my dreams. Yes, I'm beyond excited. Stranger Things season 2 will be available to stream from 27th October. During a pre-Gamescom briefing from Xbox, Jurassic World Evolution was announced from the developers of Elite Dangerous, which Rob Wainfur, founder of The Bearded Trio, reviewed previously. Frontier Developments has based a sim around the 2015 blockbuster movie directed by Colin Trevorrow. 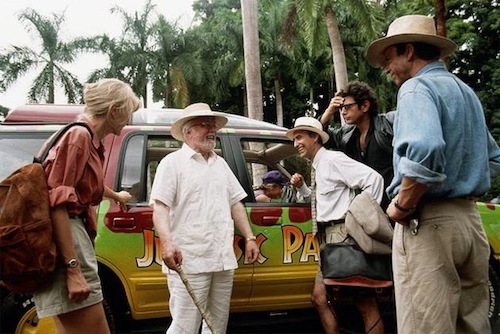 Players will be able to unleash their inner John Hammond, played by the late Sir Richard Attenborough in Steven Spielberg's original Jurassic Park, and design a dinosaur theme park replete with reptilian perils for unsuspecting tourists. Aside from this surprise. The Xbox pre-Gamescom conference was a rehash of E3 and underscored the lack of first-party titles! My hot take. It was nothing more than an extended Xbox One X pre-order announcement, which should have gone live during E3. However, I've pre-ordered the Project Scorpio Edition and am looking forward to improved fidelity in titles such as Rise of the Tomb Raider on a Samsung Curved SUHD 4K 3D LED TV. Jurassic World Evolution will be released for PS4, Xbox One and PC in the summer of 2018 to coincide with Jurassic World: Fallen Kingdom. 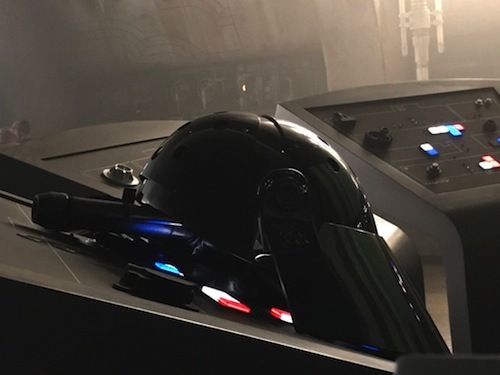 Director Ron Howard teased a photo from his upcoming Han Solo Star Wars spin-off, alluding to the Empire's Death Star or Star Destroyer interior, on Twitter. Han Solo (Alden Ehrenreich) didn't see the Death Star until A New Hope. So, unless his memory was erased, it's unlikely the infamous battle station will appear again soon on the big screen. However, it's worth noting the standalone spin-offs are set before A New Hope and act as Disney's prequels to the original trilogy. There's a danger of repetition, something the Star Wars saga is known for, what with Rogue One centered around stealing the Death Star plans. But, the Death Star is familiar to filmgoers, so who knows. That said, I'm all for Solo breaking into a detention block and setting an imprisoned Chewbacca free before escaping in the Millennium Falcon with TIE Fighters in hot pursuit. So, what do you think? Will Han Solo (Alden Ehrenreich), Lando Calrissian (Donald Glover) and Chewbacca be aboard the Death Star or not? Let me know in the comments below. The untitled Han Solo spin-off is scheduled for release 25th May, 2018. Lucas planned 9 movies as evidenced by the liner notes of The Empire Strikes Back soundtrack release. 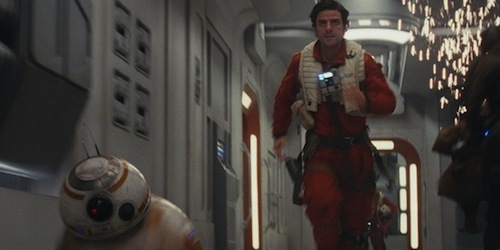 However, the sequel trilogy and standalone spin-offs are very much the vision of Kennedy and Disney. 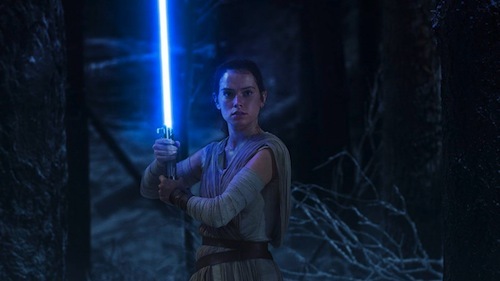 Rey (Daisy Ridley) is the 'Rosebud' of the Star Wars sequel trilogy. An enigma spawning countless fan theories since The Force Awakens. However, Star Wars: The Last Jedi promises to shed light on the character's origins. “To me, it’s important insofar as it’s important to her. And I think it’s important to her in terms of what is her place in all of this?”, director Rian Johnson told Entertainment Weekly (EW). "What’s going to define her in this story? She was told in the last movie that the answer’s not in the past; it’s looking forward. But she’s showing up on this island to talk to this hero from the past. "You can be told [‘the answer’s not in the past’], but I think she still has a lingering hope that she’s going to find the thing that’s going to say: This is where you belong. This is where you are. I think she still holds onto the thought that where she comes from will help define where she’s going." 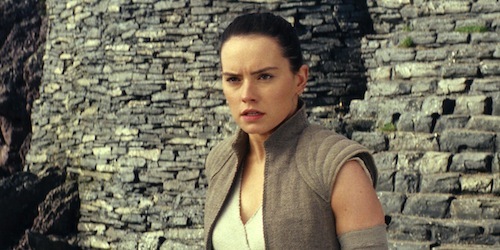 In the same interview, Daisy Ridley teased the big reveal won’t necessarily affect Rey’s journey in Star Wars. “You can always look for answers and that doesn’t mean that the rest of your life is so easy”, she explained. Who do you think Rey is? Anakin Skywalker reincarnated, Obi-Wan Kenobi's granddaughter or something else? Let me know in the comments below. Star Wars: The Last Jedi is set for release on 15th December.